On his second tour of duty in Iraq, SGT Green was severely injured on March 15, 2007 when an IED detonated near his unit while on combat patrol in Baghdad. He was flown to Landstuhl, Germany, where he died from his injuries on March 18, 2007. Others from his unit who were killed during the explosion on March 15th were Staff Sgt. Blake Harris, Staff Sgt. Terry Prater and Sgt. Emerson Brand. 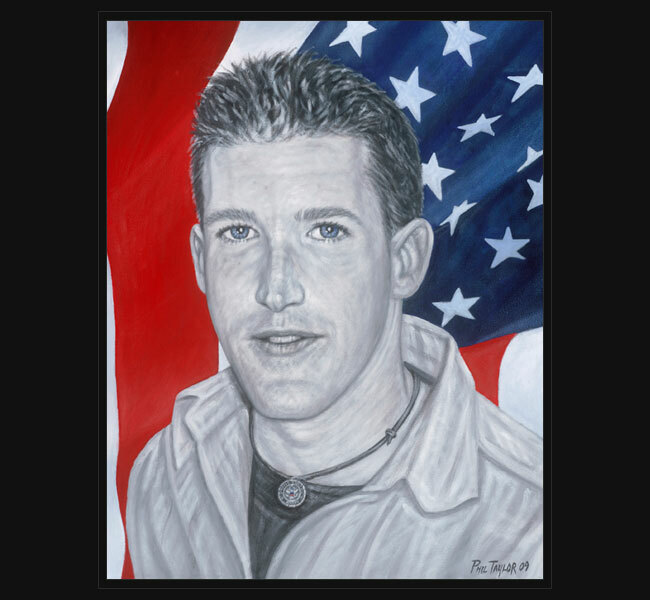 Original portrait was presented June 27, 2009 to Ryan’s mother and extended family during an annual memorial event held in honor of Ryan in Red Oak, Texas.